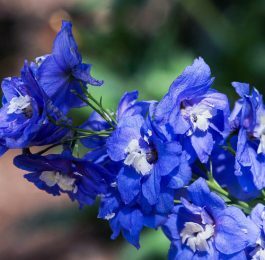 The Delphinium Society was founded in June 1928. 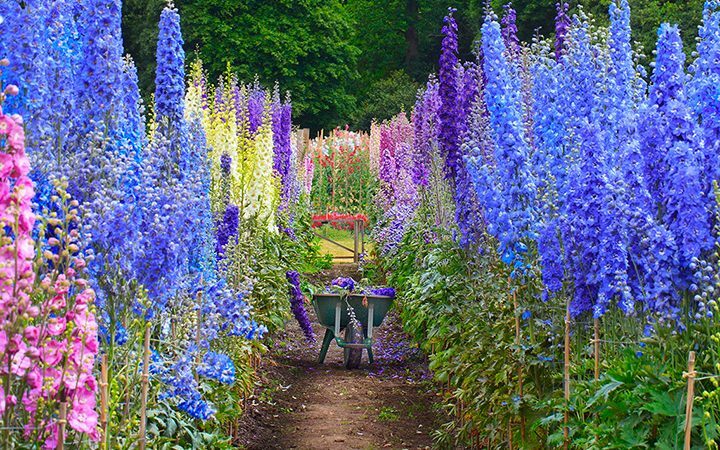 These were the days of large gardens with the staff to maintain them and many nurseries specializing in delphiniums. The first show was truly spectacular with literally hundreds of delphiniums being exhibited. There were 13 trade stands and the classes called for large numbers of spikes, 50 in one, 42 in another. Most classes were for members with gardeners although there were some for those unfortunates who didn’t have such a luxury. The Delphinium Society is a lively society which enjoys a reputation for being friendly and enterprising. Its Year Book is second to none and there are members throughout the world. 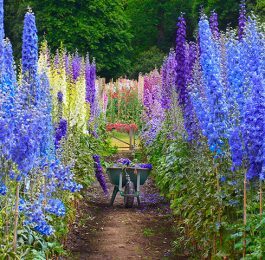 If you are interested in joining, even if you have only just started growing delphiniums, why not write for more details? Membership can be obtained locally or international. The “home” membership fee (for residents of the United Kingdom & Ireland) is currently £6 per annum. Order or Bank Draft. Alternatively, the fee is $15 in US Currency. Unfortunately, neither personal cheques in foreign currency nor credit card payments can be accepted. International members are asked to note, please, that we experience severe difficulties in exchanging cheques drawn on foreign banks and will have to return to sender any which we receive. Our bank charges for cheques drawn on foreign banks may exceed the value of your payment. Eurocheques are unacceptable. We have also found it impossible to cash money orders made out in foreign currencies. Please use the membership request form set out on this page. Please address you payments to the address above and please state it was from Unofficial Delphinium Society page.